Raise your Spoon - Feeding the homeless close to home. | Gramercy Developments Ltd.
Raise your Spoon – Feeding the homeless close to home. 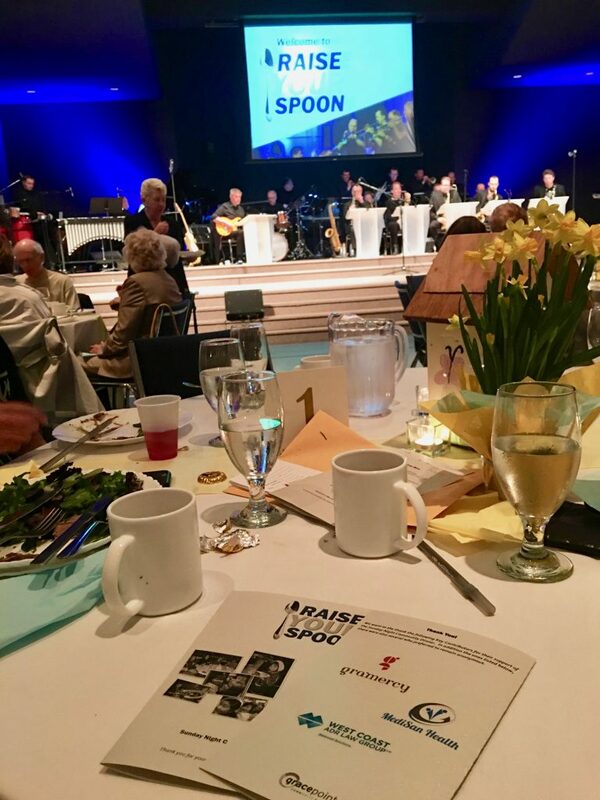 Earlier this year, the Gramercy Gives Back team was honoured to attend and be a part of the Gracepoint Community Church’s “Raise Your Spoon Fundraiser. The proceeds from this evening help to provide much needed supplies and food for the Sunday evening dinner held every week in the church gymnasium. Those in need of a good meal, an evening surrounded by caring volunteers or a few loaves of bread graciously donated by Cobbs Bread, gather together to have a meal, listen to music and a word from the facilitator. We are so grateful to see this outreach continue and to be a part of it. Where in the World is Aldergrove? All content copyright Gramercy Developments Ltd.